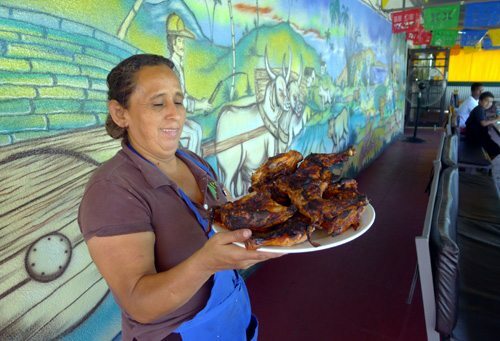 Free plate of roast pig, cuban style “LECHON” with rice and beans at the book release party for Gerald Locklin’s YOU NEED NEVER LOOK OUT A WINDOW – Gerald Locklin will be reading form his book and there will be signed collectible limited editions for sale as well as paperback editions of this new book. Locklin will be in attendance and reading selections from this book, volume one of his COMPLETE COAGULA POEMS. Poet Gerald Locklin was a regular feature in Coagula Art Journal for more than a decade with poetry devoted exclusively to the subject of specific art and artworks. Volume One of his complete Coagula Poems reproduces these poems in chronological order (instead of the order they appeared in the magazine) beginning with ancient Egypt, quickly working through the Dutch painters into the Impressionists and others before arriving at the halfway point of his coverage, abstract painting at the end of the 1950s. Locklin is a self-effacing anti-formalist and not aligned with any school of art writing – his poetry is about life and the reflections on these artists and their art reflect his views on life free of the jargon of the art academies. Click the book cover if you are interested in buying this book. 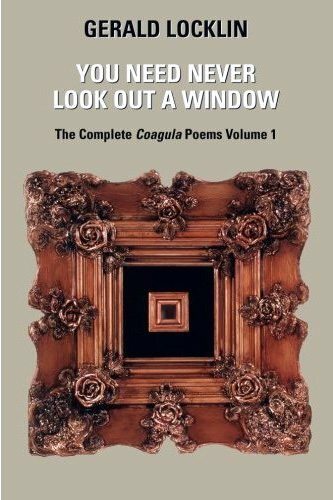 This entry was posted in Gerald Locklin and tagged Gerald Locklin, poetry reading, roasted pig, You need never look out a window by Monsieur K.. Bookmark the permalink.